Hey Everyone! So as you can tell from the title of this post I haven't named it Blogmas and that's because I have pretty much failed with it this year and instead of trying to upload two posts per day and putting way to much pressure on myself I have decided to just post regularly throughout December instead of just daily as I think I will enjoy it more and I won't be putting as much pressure on myself. Blogging is meant to be fun after all and not a chore. Today I thought that I would a bit of a romantic post giving you all a few christmassy date night ideas. It's the time of year where we tend to hold on that bit closer to our friends and partners and tend to do more stuff with them so I thought why not compile a list of things you can do together! Enjoy. 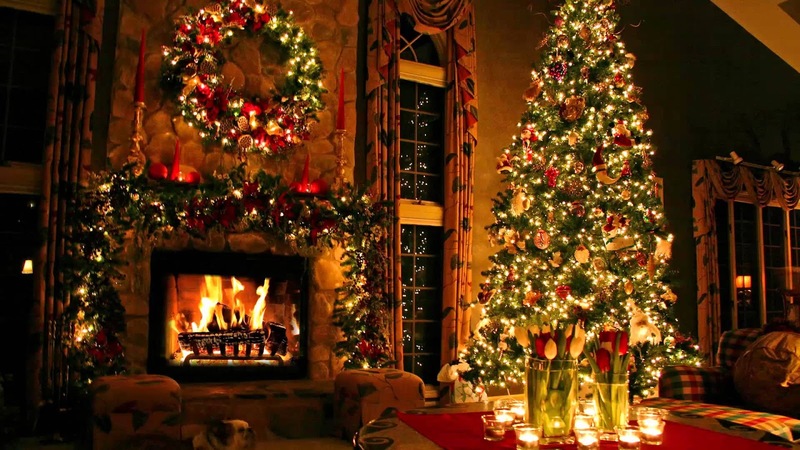 If you are in a relationship or have recently moved in together than there's no better way to celebrate this than going out shopping for a christmas tree and putting it up in your house and decorating it together whilst drinking wine and listening to christmas music or watching christmas films. I think this would be the perfect date night if you want to stay inside but still have a cosy romantic night. No matter where you live there will always be a place close by where you can go ice skating either as a couple or with your closest friends. I love ice skating and without being big headed I am actually quite good at it. I've never fallen over when I've been. This is actually surprising for me because I can barely walk on two feet normally...I actually just fell down the stairs before writing this post as well. However when you think 'date night' you just think ice skating. I mean how romantic is it to just walk around hand in hand talking and laughing about life. It's just so romantic. However it's not just something for couples. If you want to get a group of friends together and then go on a little trip then this would be perfect and makes the perfect Christmassy evening I reckon. Heading down to your local Christmas market or Winter Wonderland if you live in London would be the perfect date night. There's always so much to see and do and you can always have a look for presents for your loved ones and enjoy drinking hot chocolate or mulled wine and eating the variety of food that they always have on offer as well. Sometimes these markets often have rides (especially Winter Wonderland). The possibilities are endless at these markets and there's always so much to see and do. I love pantomimes and I love going to the theatre so why not head to one near you to see what's one. The west end also has some incredible shows including Les Mis, Phantom, and Aladdin which is perfect as not only can you watch a fab show but you can also go and see the lights along Oxford Street and then end the evening by going to see the show after. This is a very simple idea but why not head to town and just go on a walk together whilst watching all the Christmas lights together. I think this would be such a lovely way to catch up on each others lives as well as just being a really cute way to spend some time together. Why not grab all your friends as well as your partner together and have a movie night complete with drinks and snacks and just watch all the festive classics? I know I'll be doing that after Christmas with a few of my friends. Love Actually, The Holiday, Polar Express and Arthur Christmas are all on the list so far! I cannot wait! There are some cinemas out there that will do some showings of the Christmas films we all know and love however there are also some non-festive amazing films out there at the moment such as Fantastic Beasts staring Eddie Redmayne and a Disney film called Moana which looks absolutely amazing. The good thing is, is that both these films have been out for a little while now so the cinemas will be a lot quieter. Bonus! If you are in a relationship or even just with a few friends who are going to be apart over the festive period than why not get together and make a Christmas meal complete with Turkey and all the trimmings and even a secret santa! There's no better way to celebrate Christmas than a few days early or late and it's such a fun night. Me and my closest friends are all getting together for a Christmas meal after Christmas and we are all super excited. So here are just a few date night ideas than you can take part in across the winter season and festive period. If you're not in a relationship like me than fear not as a lot of these ideas you can just do with a few of your closest friends. Whatever you do and however you spend it just remember that it's the littlest of things than can help your relationship or friendship grow even stronger. Let me know what your favorite way is to spend Christmas with your loved ones. Have you been on any wonderful date nights recently?